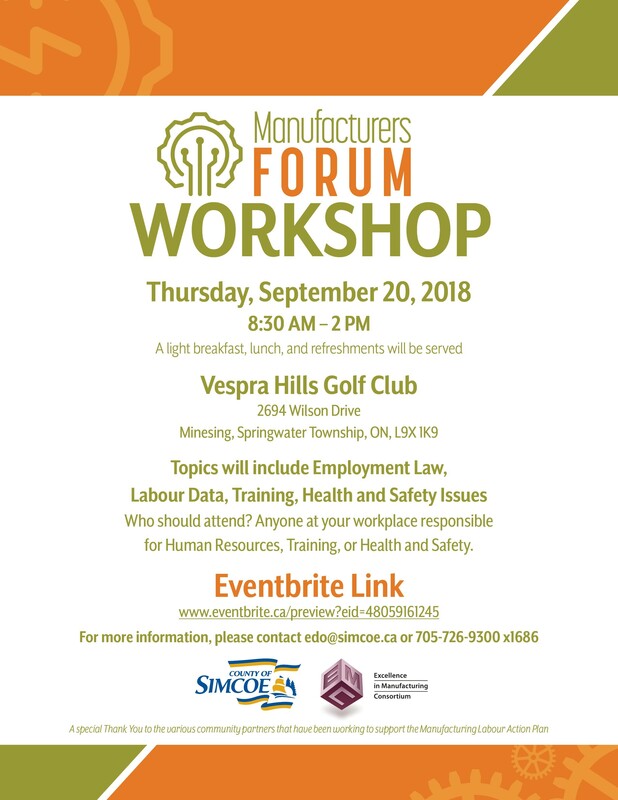 County of Simcoe’s Economic Development Office is hosting a Manufacturers’ Forum Workshop on September 20, 2018 at the Vespra Hills Golf Club in Minesing, Springwater Township, Ontario. The forum is designed for those responsible for Human Resources, Training or Health & Safety. Discussion and presentation areas will include Employment Law, Labour Data, Training and Health & Safety issues. Registration is free of charge, visit eventbrite.ca to sign up. For more information, please contact edo@simcoe.ca or 705-726-9300 x 1686.